Donald (Don) P. Paradiso is an Associate in the Las Vegas, Nevada, office of Jackson Lewis P.C. His practice focuses on representing employers in workplace law matters, including complex class action litigation, wage/hour cases, discrimination matters, and providing advice and counsel. Mr. Paradiso has achieved victories for clients at every judicial level in the Ninth Circuit, including published case law from the Ninth Circuit Court of Appeals. Mr. Paradiso has experience appearing before judicial departments, administrative law judges, and has first chair trial experience. 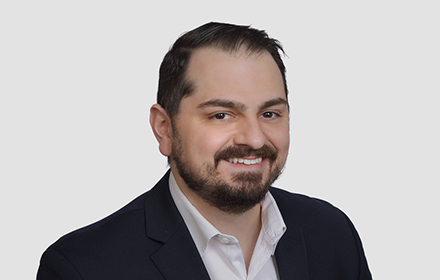 While attending law school, Mr. Paradiso was a Senior Editor on the Penn State International Law Review, where his article on international piracy, maritime law, and its impact on global shipping was selected for publication. Mr. Paradiso was also a member of a four-person team competing in the prestigious Willem C. Vis Commercial Arbitration Moot in Vienna, Austria. Prior to joining Jackson Lewis, Mr. Paradiso served as counsel at a national firm focusing on commercial litigation and employment matters. He was also law clerk for the Honorable Vincent Ochoa in the Eighth Judicial District Court.